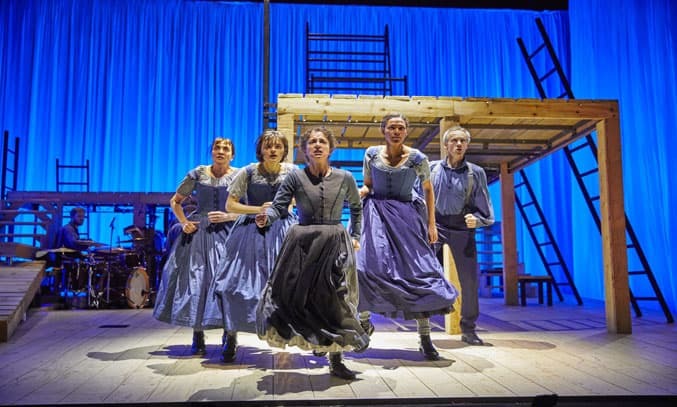 2017 marks the 170th anniversary of the first publication of Charlotte Brontë’s classic novel JANE EYRE and it in a fitting tribute, the highly acclaimed co-production between the National Theatre and Bristol Old Vic opens its UK tour at Salford’s The Lowry. Originally presented as a two part performance at the Bristol Old Vic before transferring to the National Theatre, JANE EYRE has been re-imagined as a single performance, with this energetic and imaginative new adaption challenging expectations about the traditional and much-loved story. First impressions are certainly not what they seem. A cast of 10 play all the roles – Jane playing herself from birth to her early twenties – all of which are beautifully acted. There are plenty of modern twists, with an unexpected but not out-of-place performance of MAD ABOUT THE BOY standing out in particular. There is even a grown man playing Pilot – Rochester’s dog – but again, this doesn’t feel out of place and only adds a charm to the play. 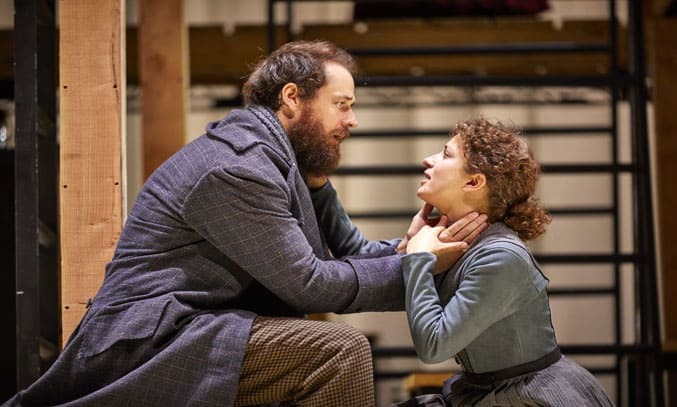 Manchester born Nadia Clifford and Tim Delap play Jane Eyre and Mr Rochester respectively, their beautiful and heartfelt performances adding humour to the story. Hannah Bristow who plays multiple roles including Helen, Jane’s first friend at school who dies at a young age, and Adele, the child who Jane becomes governess, also gives an amazing performance across all of her roles. A special mention also must go to Melanie Marshall who plays Rochester’s crazed wife and sings a slowed down version of CRAZY by Gnarls Barkley as Jane finds Thornfield burnt down which is hauntingly beautiful and eery. While most of the story is told in the first half and the second act is much shorter in length, this doesn’t detract from the performance with the cast earning a well deserved standing ovation at the end of the show. This particular adaption of JANE EYRE is more of a coming-of-age story not really seen in other adaptations, but it makes the performance all the more thought-provoking. Vikki Rutter is a North West review writer, working in the glamorous world of TV. Lover of travel and cats, although travelling cats not so much.